RTI Surgical™ Announces Agreement With Novation - RTI Surgical Holdings, Inc.
ALACHUA, Fla. (April. 13, 2015) – RTI Surgical Inc. (RTI) (Nasdaq: RTIX), a leading global surgical implant company, announced a new agreement with Novation, a health care services company with more than 100,000 members and affiliates of VHA Inc., UHC, Children’s Hospital Association and Provista, LLC. The agreement covers RTI’s full line of surgical specialties implants and is effective starting April 1, 2015. 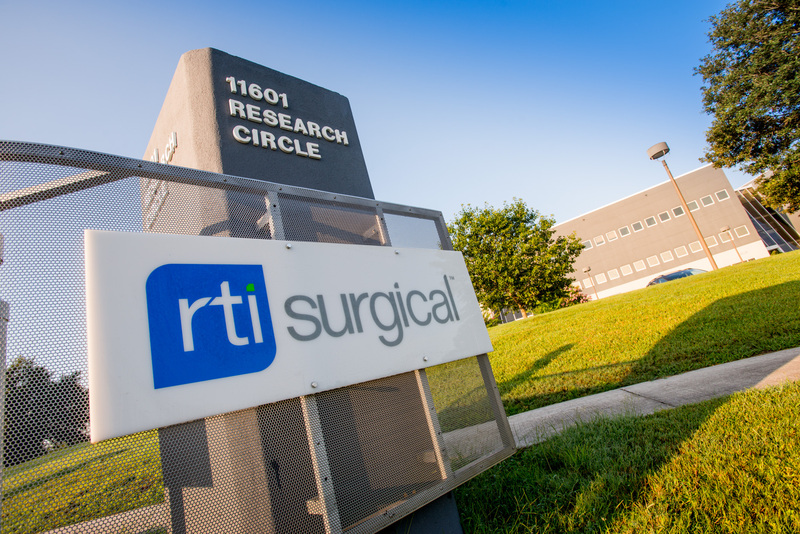 RTI Surgical is the only provider offering a complete line of biologic implants for hernia repair, complex abdominal wall repair cases and breast reconstruction surgeries, providing surgeons multiple tissue types to better meet the patient’s clinical needs. The portfolio includes Fortiva™ porcine dermis, Tutopatch™ bovine pericardium, Tutomesh™ fenestrated bovine pericardium and Cortiva™ allograft dermis. These implants are sterilized through the patented Tutoplast® Tissue Sterilization Process, a validated chemical sterilization process that thoroughly penetrates tissue, removing antigenicity and inactivating pathogens. Terminal sterilization using low dose gamma irradiation achieves a sterility assurance level (SAL) of 10-6. For more information about RTI’s comprehensive line of biologic implants used for hernia repair and breast reconstruction, please visit www.rtisurgical.com or contact an RTI representative at (877) 612-4287. Novation is the nation’s leading health care services company, focused on revolutionizing operational performance for more than 100,000 members and affiliates of VHA Inc., UHC, Children's Hospital Association and Provista LLC. Novation’s progressive approach to cost performance, data and intelligence, and integrated advisory solutions helps health care providers envision and advance new models of cost-effective, high-quality care. Headquartered in Irving, Texas, Novation is committed to the highest standards of ethical behavior and twice has been honored with the Ethisphere Institute’s coveted Ethics Inside® Certification, and has been named four years consecutively to Ethisphere’s World’s Most Ethical Companies list.